We have a fabulous new curved frame bench in the store. 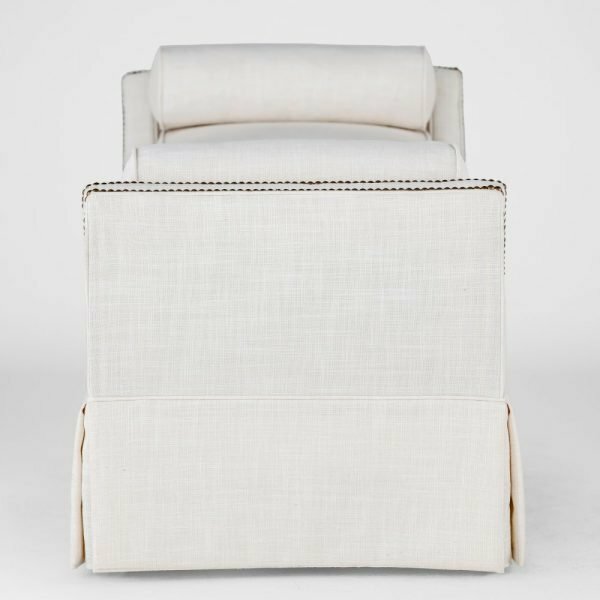 It is upholstered in a durable Sunbrella fabric and accented with antique brass nailheads. It is meant to sit perfectly at the foot of a king size bed. Depending on the size of the room, it would also serve as a fabulous accent in a living room. 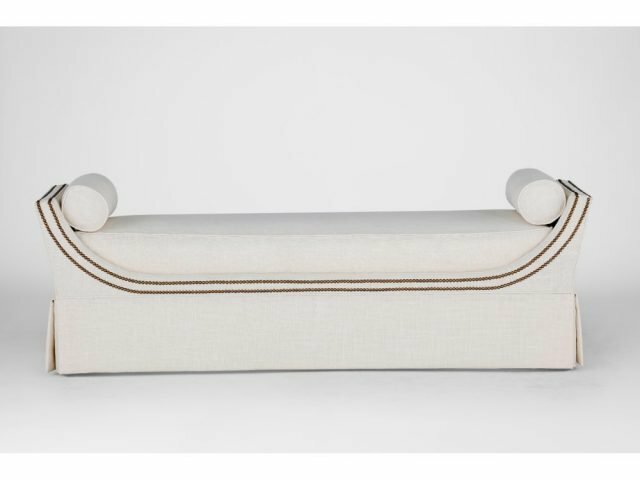 The bench includes two bolster pillows. It can be ordered in different fabrics, including COM. It comes in 3 sizes: twin, queen and king. 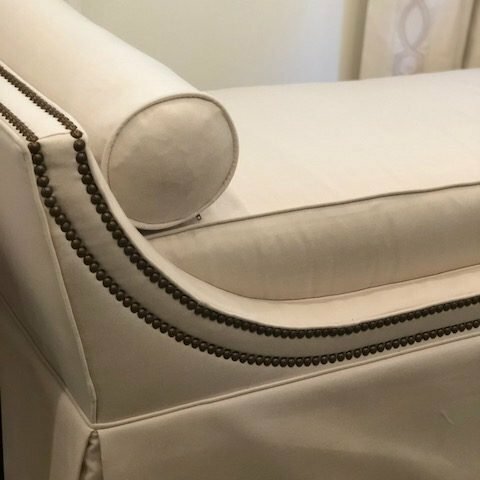 You can also choose from 5 different nailhead finishes. The king bench dimensions are 74″ W x 25″ D x 23.5″ H. Seat height 19″ H. It sells for $2,349.99. We have new art, accessories, and lamps coming into the store. Be sure to stop by to shop our new arrivals.